I graced Ohio with my presence a bit back and I totes forgot to tell you about it! When I travel, I obvs look up what to eat, but I was in Ohio with work, by myself, and had little time. I asked around, searched the interwebs, but came up short UNTIL I heard of Tom + Chee. I adore Adam Richman from Man vs. Food (Adam, will you marry me?) so when I saw that he paid a visit, I knew it had to be good. We have all seen this type of specialty restaurant. There's Mac 'n Cheese spots, Meatball shops, Chicken 'n Waffles ... they pop up everywhere ALL THE TIME, but not all live up to the hype. TOM + CHEE DOES! A GRILLED CHEESE DOUGHNUT, YES PLEASE! Ya'll know I have a sweet tooth, so how about a doughnut. DONE-ZO. Anywhere that calls themselves "Home of the Grilled Cheese Doughnut" is somewhere I want to live. A glazed doughnut, cut in half, grilled up just right, layered with blueberry compote, bleu cheese and mozzarella was simply heavenly. I was skeptical but you should not be. Go there, and get more than one, its affordable enough you can! TOM + CHEE, please open in NY! Graeter's Ice Cream deserves an honorable mention if only for the size of the cookie in my Cookies 'n Cream scoop. LOOK AT THAT DARLING! 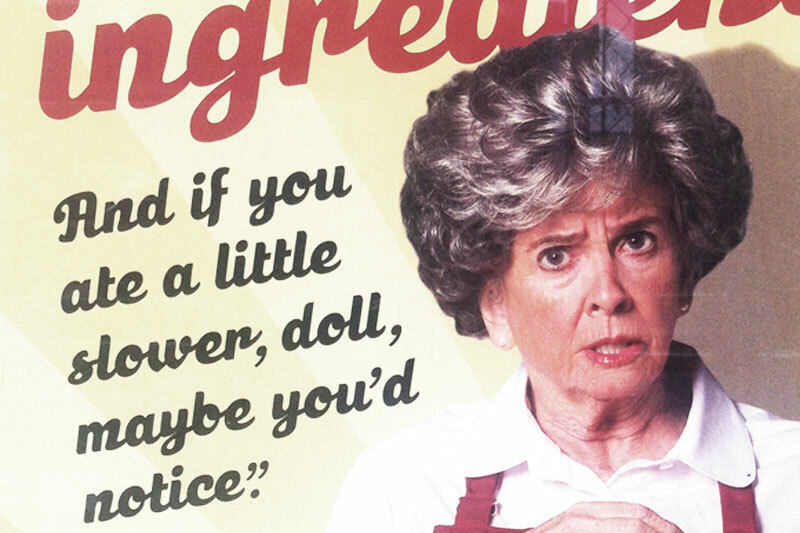 All over the windows, there are posters with this old biddie, which absolutely cracked me up. "I make all my pastries with the finest ingredients and if you ate a little slower, doll, maybe you'd notice." and "Everyday I make more pastries then you can eat in a week, thats why God made next week." are two that caught my eye. Grab a scoop (or two) if you're in town. Get down with your bad self Ohio, thanks for having me! 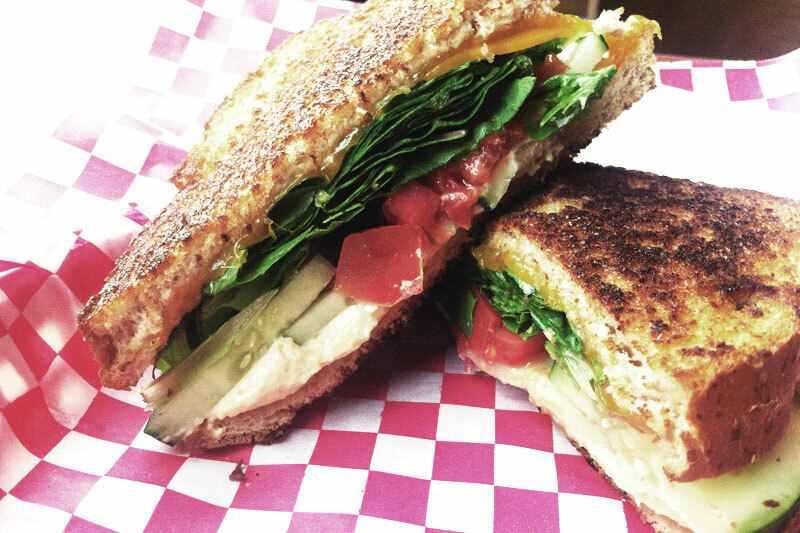 I have to start experimenting with grilled cheese combos... What's the craziest grilled cheese you've ever had?